AkzoNobel’s Marine Coatings business has launched a best-in-class anticorrosive universalprimer,Intershield® One-2-One, which delivers simplified maintenance, waste avoidance and enhanced corrosion protection. 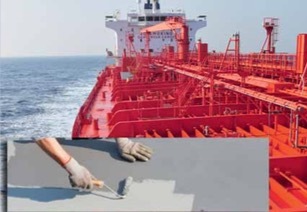 Intershield® One-2-One,partof AkzoNobel’s International® range of marine coatings, is a surface tolerant universal primer for use during on board maintenance. It is based on the company’s Intershield® 300 pure epoxy technology, which provides a unique balance of abrasion and corrosion resistance with optimum levels of hardness and flexibility, delivering long- term performance and effective corrosion control. Application of Intershield® One-2-One can reduce paint wastage significantly, as well as reducing the risk of incorrect mixing and subsequent coating failure. These benefits are possible thanks to the availability of small crew-friendly pack sizes with an equal mix ratio that can be handled with ease by users. Intershield® One-2-One can be used as a primer on most areas of a vessel. This versatility enables simplified paint stock management for crew members who can consolidate several products into a single maintenance solution. It meets all the required on board maintenance characteristics as well as the service performance expectations of the vessel operator. Intershield® One-2-One features enhanced surface tolerance properties that enable it to be applied to a wide range of surfaces with reduced surface preparation requirements. It has been engineered for use in temperatures as low as –50°C and will cure to dry film down to –200°C. This removes the need for weather dependent on-board maintenance in most areas, providing vessels and crew with increased flexibility in maintenance scheduling. Robert Wong, marketing director at AkzoNobel’s Marine Coatings business, said: “In an industry where crew members continue to face increased responsibilities, optimizing time spent on on-board maintenance is essential.